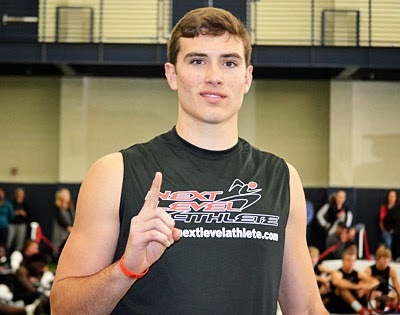 Shirts With Random Triangles: Tennessee adds Texas high school QB prospect Quinten Dormady to its 2015 recruiting class. Tennessee adds Texas high school QB prospect Quinten Dormady to its 2015 recruiting class. Quinten Dormady. Photo via Scout.com. Tennessee added a quarterback to its 2015 recruiting class on Monday. Boerne, Tx. rising senior QB Quinten Dormady is the 12th prospect to commit to the Vols' for 2015. Dormady tweeted out his decision on Monday. Dormady is graded as a two-star QB by Rivals.com, though 247Sports.com's composite rankings list bumps him up to a three-star. ESPN Recruiting Nation also grades Dormady as three-stars, and ranks him as the 18th best pocket-passing QB in the U.S.
Dormady attends Boerne High School in Boerne, Tx. He stands 6'4", and weighs 210.